Finally! 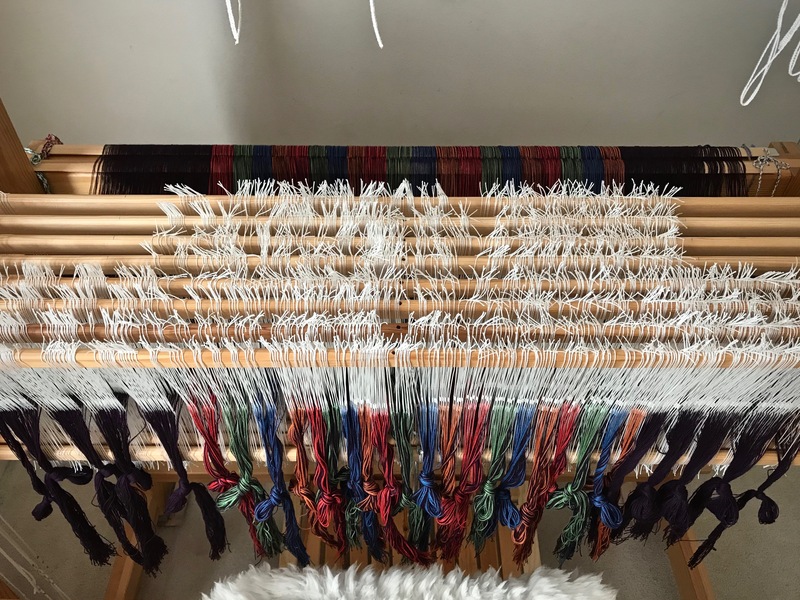 Every warp end is in a heddle, where it needs to be for double-weave cloth to happen. I don’t mind the time it takes. 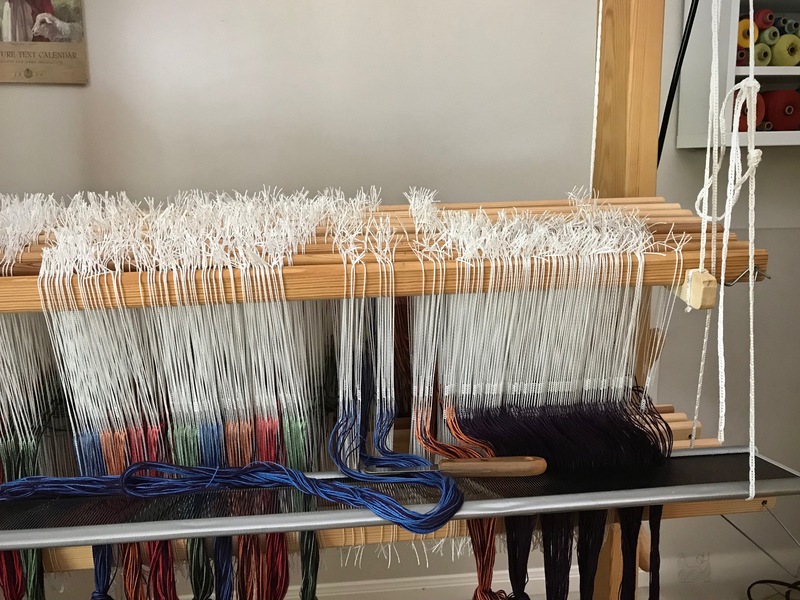 The process of dressing the loom is fascinating. And I hope I will always see it that way. I’m thankful that I get to weave. Threading complete! 2,064 ends in that many heddles, at about 3 ends per minute. But who’s counting? And now, onward to sleying the reed! Reed is sleyed at 4 ends per dent in a 50/10 metric reed (equivalent to a 12-dent reed, imperial), at about 12 ends per minute, which feels pretty fast at the moment. Thanks. It’s something we give. Heartfelt thanks is a ready gift that costs us nothing to give. Gratitude leads us to see blessings in the ordinary, and opportunities in the routines of life. When we abound in giving thanks, letting it spring up from a satisfied soul, we bring life to our family and our community. An abundance of thanks to God lifts our eyes to a view from above. It’s there that we see all those threads, thousands of them, working together to become a glorious cloth for our good. That’s reason to give thanks. Good morning Joyce, That’s a beautiful way to express it! I’m thankful for God’s work in our hearts.